I’ve enjoyed my college education immensely, and I wouldn’t trade the years I’ve had here for the world. But now that I’m headed toward graduation, I can’t help but feel that I’m ready to get out of here and get to work! Weirdly, though, I feel as if I’m the only one: a ton of my friends are headed to graduate school rather than into the working world. I haven’t ruled out graduate school entirely, but I want to get some work experience first. But I’m a little nervous that I’ll be less competitive for the jobs I want because of my lack of higher degrees. Experts, how important is graduate school? A graduate degree can open doors to new job titles, speed career advancement, and make you more appealing as a first-time job applicant. But it’s not equally necessary in all fields. What, if anything, can we say about graduate degrees in general? We can certainly say that they are becoming more common. Your friends aren’t the only ones headed off to graduate school after college: studies show that master’s degrees are as common these days as bachelor’s degrees were back in the 1960s. That growth has been mirrored by a rise in the number of people pursuing undergraduate degrees, and we have seen a rise in the number of jobs that require a college education of their applicants. In many ways, college degrees are the new high school degrees, and graduate degrees the new college degrees. That might make you think that you need a graduate degree, but that’s not really true. The shift in hiring standards isn’t ideal for those without a college degree, but recent college graduates still make good salaries, and not every industry has equal need of graduate degrees. So do you need one? As you might expect, that depends on your industry. Your best bet is to start speaking to people who work in the positions you aspire to. Did they go to graduate school? If they did, and if that’s the norm, perhaps it’s time to consider that yourself. It’s also important to ask when they went to graduate school. Not every graduate student heads back to school right out of college. Plenty spend some time in the working world, first, and this can actually be a boon during the admissions process if you’re targeting a program like an MBA. And you may also be able to choose a low-residency of online program that allows you to work and attend school at the same time, say institutions that offer a master’s in social work degree online. 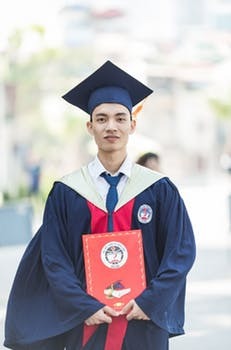 Graduate school doesn’t look the same for everyone, and there’s every reason to believe that you can satisfy your desire to live in the “real world” while still taking the steps necessary to make yourself as attractive to future employers as possible. Good luck!